Today, I have chosen a topic that I have a great deal of passion and hopefully a modest amount of success in, that being defense, blocking out, and really possessing a passion to improve on the defensive end. 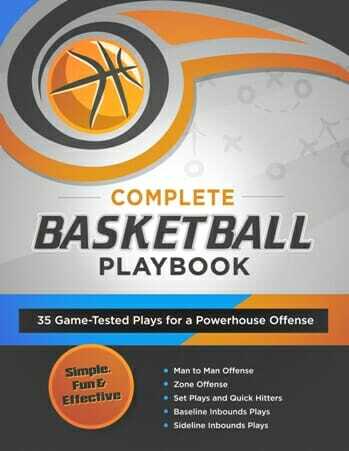 I am going to share my tips to improve your basketball defense, and put you in the position to win! 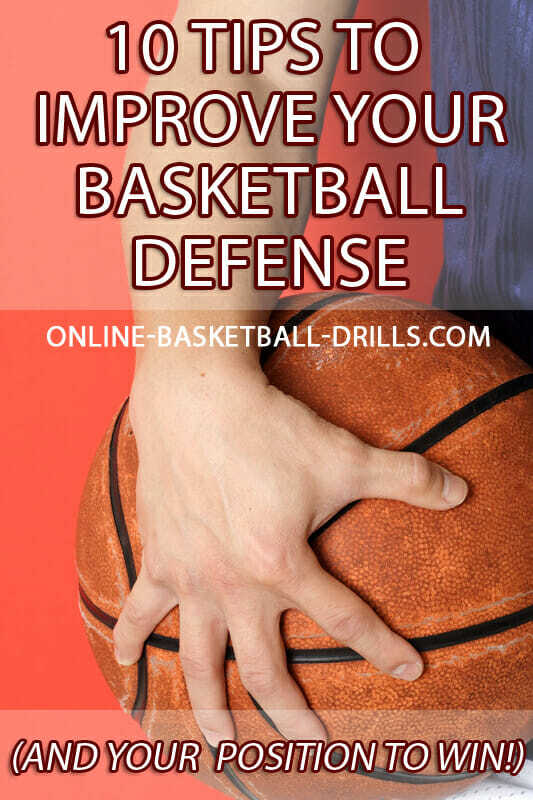 If you’re really step up your game and improve your “D” – don’t miss the Team Defense Drillbook. A team needs to possess great energy and great passion to improve. And they also need to find ways to negate talent. You don’t have the tools you want, you don’t have the people you want, but you have to find a way to win; at least give yourself a chance and an opportunity to win. Attitude negates talent. Many times the team that possesses the “we” or the team that can get the most out of each other’s abilities sometimes defeats those multi-talented ball clubs. Strength negates talent. Take a look at an old footage of college or pro basketball, 10 20 years ago. Long, narrow men played the game. Not any longer. Strength can negate talent at every position. But, in fact, many times on the defensive end or fighting for position when boarding. What else would negate talent? No question, intellect. Probably the single most important factor. A man or a woman who knows angles, who knows how to save time, and use what they have to the most of the abilities. Intellect negates talent. And many times, as you’ve heard in the past, the mental, the approach mentally can be four or five, six times what it is to the physical. The speed and the quickness and the leaping ability. Those are some of the essential needs that negate talent. And you know what? We all possess those. They have to come out in terms of your passion and willingness to improve. I think it’s important that we talk about uniqueness. Why can certain principles help my ball club more? And there’s no question. Our uniqueness begins on the practice floor. We don’t play with any fouls at practice. I’m the only one that calls the fouls. We’d like to make our players think there’s nothing more important than learning to play hard and play through trying times. We play with no lines. Every player in our program is expected to go for every loose ball. And, of course, we continue to play every drill, every scrimmage, every breakdown, or every whole group that we’re practicing in not until the defense recovers possession of the ball. Therefore, the offense may score and if they grab it out of the net, they can dunk it again or continue to play. We’re trying to create a passion to improve and a playing-hard mentality that can carry over to the game. Thus, practice and practice drills many times will be far more difficult, we hope, than the game itself. Maybe the game turns into a pleasurable experience. We also want to think that one of the most important things that we do in a unique sense is ask for overload opportunities. We want to put our players in positions at practice where it’s more difficult than it might be during the game. By overload we’re talking about five offensive players working against four defenders. And five will learn that they can stop six players on offense. Four defenders will learn they can stop five players on offense. And you know what? We need to put ourselves in those predicaments each and every day. Overloading sometimes is very good. We might use overload by numbers. We might use a heavy ball to put an advantage to the defense and make it more difficult to pass the ball. We may put our hands behind our back on defense to make it more important to move our feet and gain body position. Always trying to make it a little more difficult so that we can overcome anything and no hurdle is too great to jump during the game. Paying attention to detail is something we think is so important as we talked about. The little things. Making sure we watch those things we call priorities. And our priorities, very honestly, begin on the defensive end. Taking away easies early. We want to build a wall in defensive transition. We want to sprint back and protect our goal and we want nobody getting early easy shots. If they score early, let’s hope it was an effected jump shot. I think it’s important that our players do know we may not shut anybody out. We may give up lucky shots. But, you know what? What shot can we accept? An effected one-dribble jump shot. And so we will compliment our players sometimes when the opponent has scored, but has scored under our terms. I want to make sure that we know what we can do and what we cannot do. What we can ill afford to give up. Keep the ball out of the paint via the pass or the dribble. The two most important priorities in our full court and half court defense.Keeping the ball out of the paint area by virtue of dribble drives, by virtue of post feeds. And last but not least, we’ve got to make sure we block out. We do that in a unique way. We face guard everybody. We block out at 15, 20, even 25 feet. No player on the defensive end can ever forget to block out. The most important, essential criteria. Make sure your man cannot get the ball. And let’s find a hero amongst our five defenders. Let’s look at each position on the floor as they would effectively block out. On the pass and the block out with the player on the ball. Take a player who shot fakes, and takes a one-dribble baseline jump shot. You’re going to see the defender more worried about the body position and making the first hit on the offensive player. Then his second instinct is to go get the ball, making sure that we keep space and eliminate the opportunity for even a long rebound to come to the long offensive player. Now let’s talk about our help side block, which is by far the toughest instinct to teach and the toughest principle to teach. If the player with the ball shoots the basketball, most defenders will turn and go to the ball. But most rebounds rebound on the help side. Many rebounds from a further position on the floor rebound deep on the help side. That gives the offensive player an equal opportunity and, if they’re a better athlete or they’re a better player or they’re a quicker player, gives him, the offensive player, possibly a rebounding advantage. Therefore, we take all the thinking out of it. When a shot goes up, initiate contact, maintain your balance, make the first hit, and then go get the ball. Will this result occasionally on loss of sight of the ball? Occasionally. Will it even result in possibly the ball bouncing or possibly the ball hitting the blind side of our defender? Possibly. And we’re willing to let that happen so long as the offensive player can’t make a play on the ball. What’s happened to us many times is great talent, even excellent players, at a certain point in every game they quit at their offensive rebounding skills because they have one common denominator. These defenders block out every player, every possession. Quite honestly, the offensive guard most of the time is told by their coach to not become an offensive rebounder many times and backpedal the defense. We still want the space closed between the defender and the offensive player, virtually giving us a better target for a fast break and making sure that long rebound can’t be played by the offensive guard. Again, as the defense, if they choose not to go to the offensive boards, as they backpedal and we try to maintain our space on the blockout we, in fact, get more opportunities for a fast break, not less opportunities. 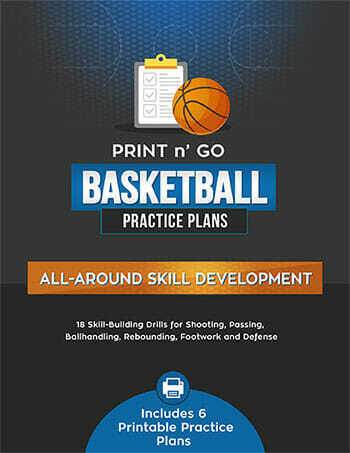 Or, if you need fresh ideas for your next practice, head over to our complete basketball drills directory. 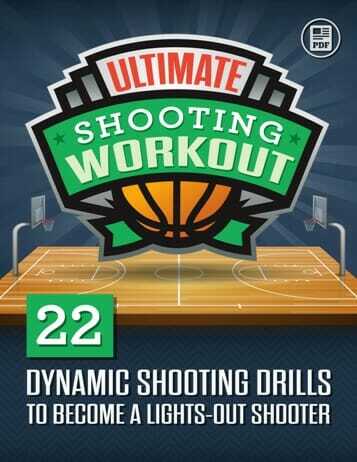 You’ll find dozens of simple, fun and effective drills to rapidly improve your team’s skill level. If you enjoyed this article and want to see more, check out our most popular defensive basketball drills before you go! I will uste this coments since the biggining of trainig, ty. Fantastic advice for youth all the way up to High school..